Personal training in Redding, California developed by the Certified Athletic Trainers, Physical Therapists, and Certified Personal Trainers at Liberty Physical Therapy. Each session consists of a speed, agility, strength, and a sport specific workout. The session will last 1 hour in length. Our staff is dedicated to educating each athlete on proper training to prevent injuries while improving performance. Not only will athletes train with a professional, they will understand why they are doing exercises so they can continue to do them on their own. For any packages of 12 or more sessions, each athlete also receives tracking of performance to document and evaluate improvements (speed, vertical jump, strength, etc). Please call us to schedule an appointment. For your convenience and care, Liberty Physical Therapy works in conjunction with Shasta Orthopaedics. 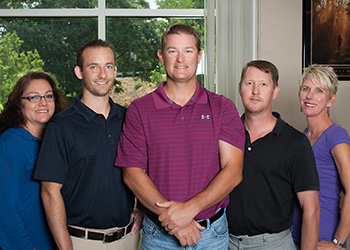 This special collaboration means the Liberty Physical Therapy Staff has special insight into your care and can communicate more efficiently with your Shasta Orthopaedics provider. Web Design & Development and SEO Services by Abra Marketing in Santa Rosa, California.